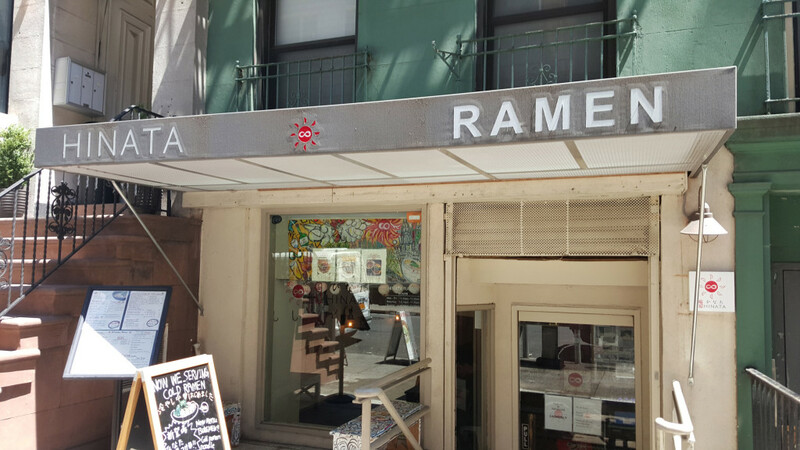 This little midtown east ramen joint puts up a decent bowl. 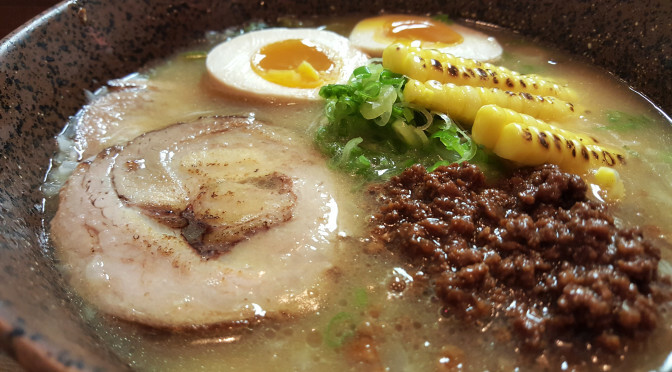 The broth is paitan chicken based, but for a price premium you can choose the Nikumiso ramen if you need to get your pork fix. 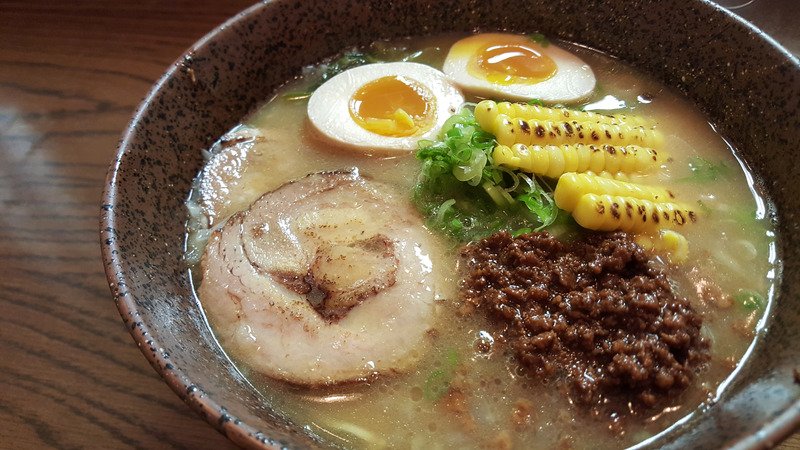 That bowl still has the chicken broth, but it’s topped with miso-glazed sliced pork and miso-seasoned ground pork. 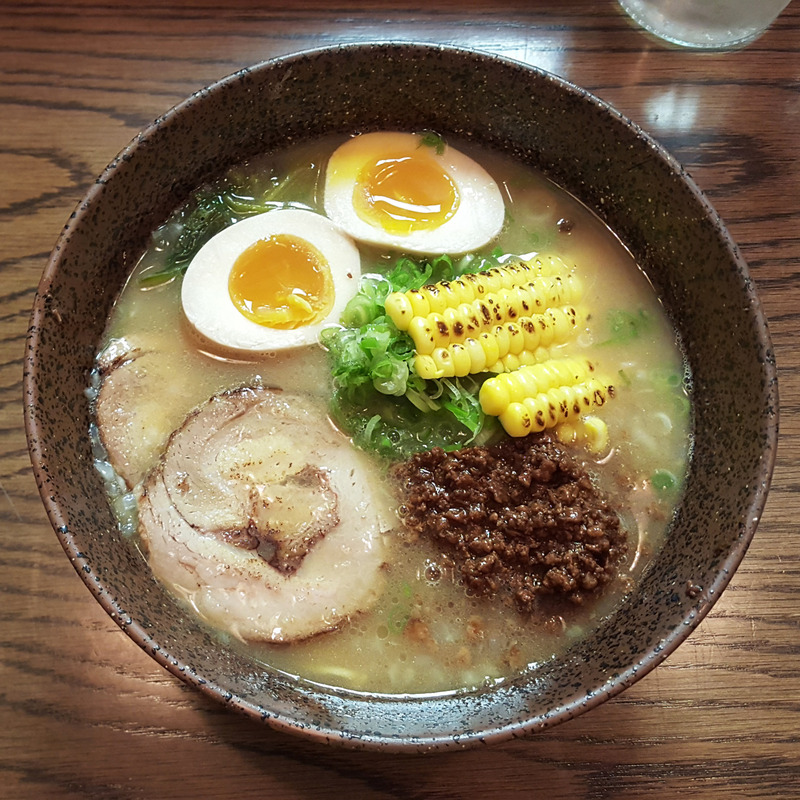 For me, this was the right choice, because I’m not a huge fan of just chicken flavored broth (unless it’s amazing), and the miso on the pork brought back a little bit of the cloudy thickness that I like without going all-in on an entirely miso-based broth. I chose the straight noodles over the wavy egg noodles. If I went full chicken broth I probably would have went with the wavies though, because they keep that eggy flavor going strong in every bite. 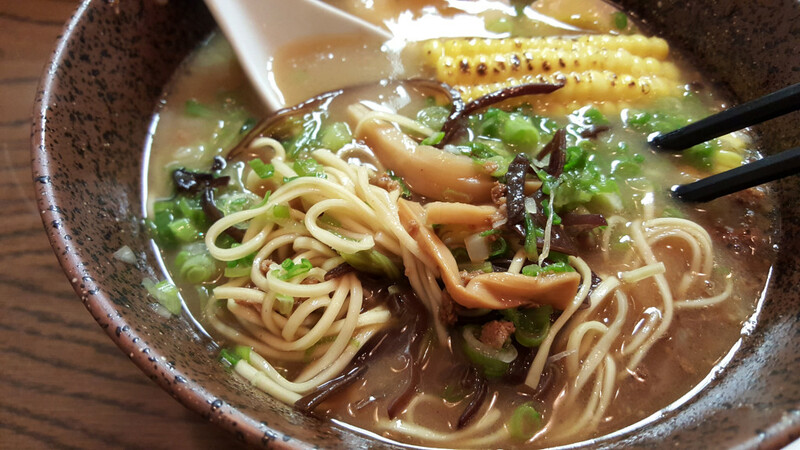 The bowl also had black mushrooms, bamboo shoots, beautifully sliced corn fresh off the cob, properly sliced scallions, and spinach, which was an interesting touch. 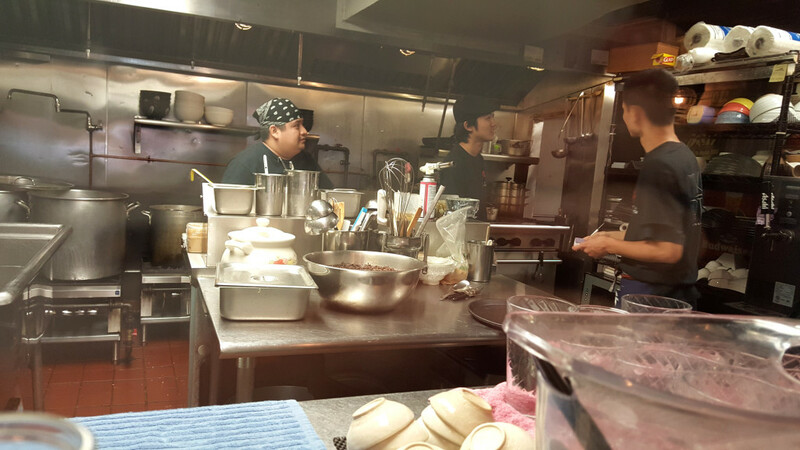 There was a bit of burnt or black garlic as well. The bowl looked incredible. The flavor was good but not the best I’ve had. 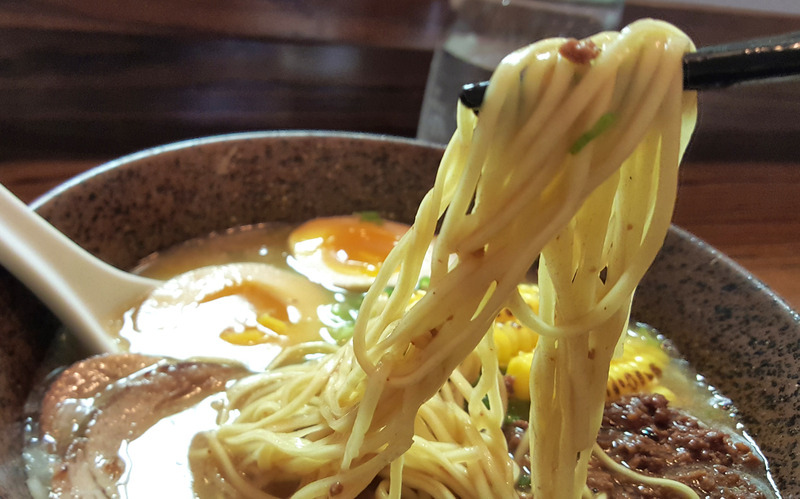 With a soft boiled egg added, the bill came to $18, which is a bit pricey for a bowl of slightly above average ramen.